"It was just before my 35th birthday and just sixth months after I had got married when I found out I was pregnant. Since hitting my 30s I had got into my fitness and had become really active and health conscious. It was at my 12-week scan where I was first made aware of a large ovarian cyst. The consultant assured me that they were quite common and I remained under observation throughout my pregnancy. Completely symptomless, I continued with my happy and healthy pregnancy, still training in the gym until a week overdue! In October 2016 I gave birth to a beautiful baby girl called Beti. Life was complete! In December 2016 I had the cyst routinely removed in day surgery and got straight back to enjoying being a new mum, soon returning to the gym to get my fitness back. Two months later on 2nd February, in a routine post-op appointment which I had attended alone with four-month-old baby Beti, I was given the devastating news that they had discovered the mass was cancerous. My perfect world fell apart. I was graded a 1C3 at diagnosis and had to await a regrade after surgery. Things happened pretty quickly after that appointment. I was referred to an oncologist and thrust into an unfamiliar and scary world of scans, tests, terrifying appointments and agonising waits for results. Just 20 days after my initial diagnosis, I had a full hysterectomy, which was quite a blow especially considering we had wanted more children and facing surgical menopause didn’t sound like the best fun! Waiting for the regrading after surgery was the scariest experience of my life. At the meeting with the oncologist six weeks later, I was physically shaking. I attended the meeting with my parents, sister, husband and daughter where, to my great relief, I was given the news that there had been no spread and I remained a 1C3. It was the greatest gift. I had a chance of beating this. 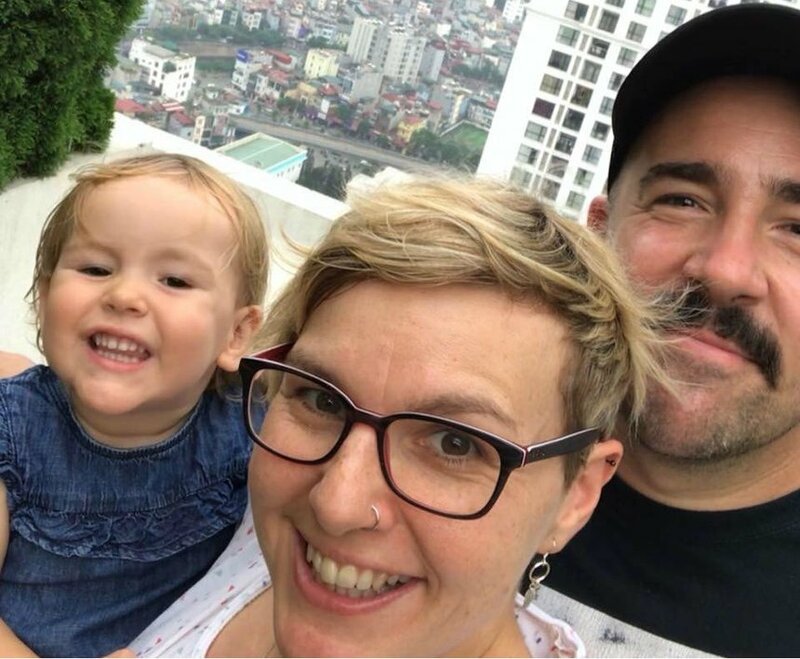 "Cancer has taken a lot from me, but it’s left me with a totally new perspective on life"
As my cyst had ruptured when I was 35 weeks pregnant, there was a ‘moderate risk’ of cells escaping, so it was deemed necessary for me to have six cycles of chemotherapy. Chemo was hard, especially as I had a young baby to look after, but I managed to find the strength to still go to the gym in between my treatments. It was so important for me mentally as well as physically. It was a safe place to go and have a small piece of normality in the chaos. My gym, the staff and members, were all so very supportive of me it really helped me get through such a difficult time. I pulled together all the support I could from my fantastic family and friends, to well-wishers on Facebook. I found being very open about my diagnosis really helped me cope. Right now, I focus on the positives. I was so very lucky that I just happened to be pregnant at the same time the cancer developed. Things could have been so different for me. I have a wonderful little girl and am totally blessed. I am able to take HRT so I have staved off the menopause symptoms for a good while yet. AND I’ve got my fitness back. It’s such a gift and I will never ever take it for granted. Cancer has taken a lot from me, but it’s left me with a totally new perspective on life. I have now gone down to six-monthly check-ups but it will be a while yet before I am signed off for good. I know the mental and physical scars from cancer will be with me forever, but I am doing my best to make them into a positive. To help inspire me to live a better life with the bonus time I feel that I have been given. With the help of some fellow gym members, I now fundraise for the local cancer hospital where I was treated, last year completing the Welsh 4 Peaks challenge scaling the four highest peaks in Wales in one day – just ten months after I had completed chemo and raising almost £16k! 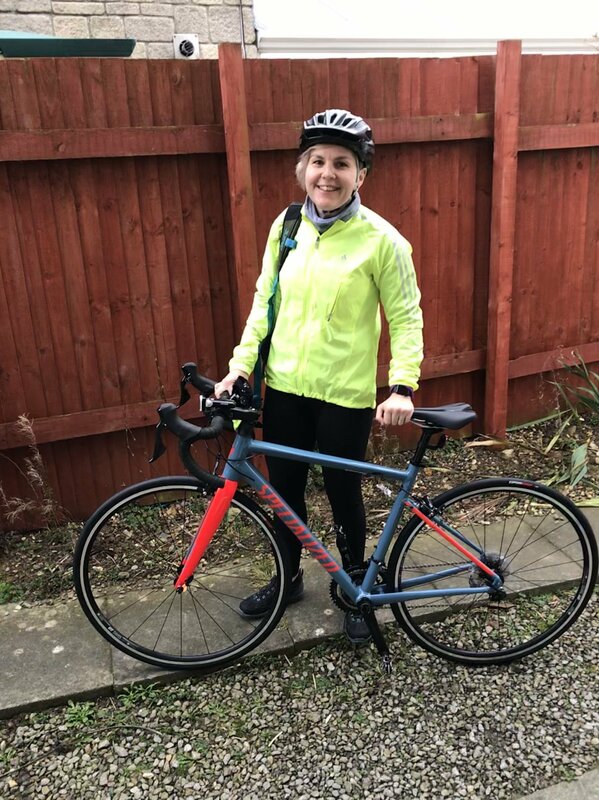 Our next challenge is to cycle from North to South Wales in July 2019 – I’m not a cyclist so this is going to be a huge challenge! I really want to use my experience to help raise awareness of the symptoms of ovarian cancer and to also give people hope. I am now living a very happy, healthy and super active life almost two years after my diagnosis." A more detailed look at the risks associated with BRCA1/2 gene mutations.